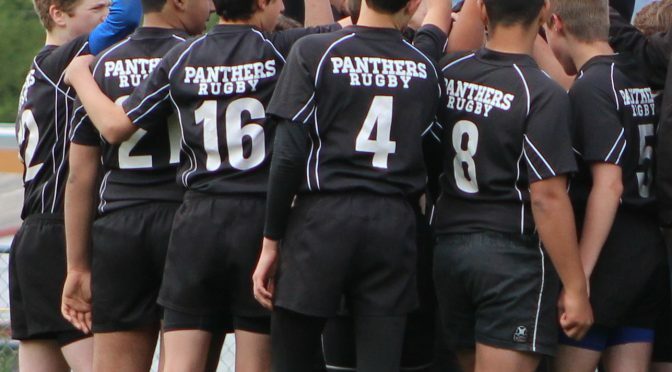 1- Club Registration: This is the registration with Panthers Youth Rugby Club. Our fees are very reasonable and we provide every year a practice jersey, shorts, socks and a Rugby ball. Fees are for the full year (not per quarter). 2- Rugby WA and Rugby USA registration: This is the registration with the league, which is mandatory in order to play Rugby. When registering with the league as a player, your child will get an ID number (CCIP), and this will serve as proof of insurance for this contact sport. Returning players keep the same CCIP. Registrations for the September to June season open only end of August – beginning of September. – Complete Club registration, completing all the waivers, and selecting ‘Pay offline’ at the end of the process. This allows you to pay later, once you’ve done a few practices. – Complete league registration and pay the league fee (30 to 85$ depending on age). This is mandatory even for one practice if you want to play contact, for insurance purposes. If you do not want to pay this fee upfront, you may attend practice but not participate to any contact drill. 2019 Season Soon to kick-off! Congratulations to U14 for making the finals in 7s tournament! Sacramento Tournament was a blast! Learn more about us on Facebook!